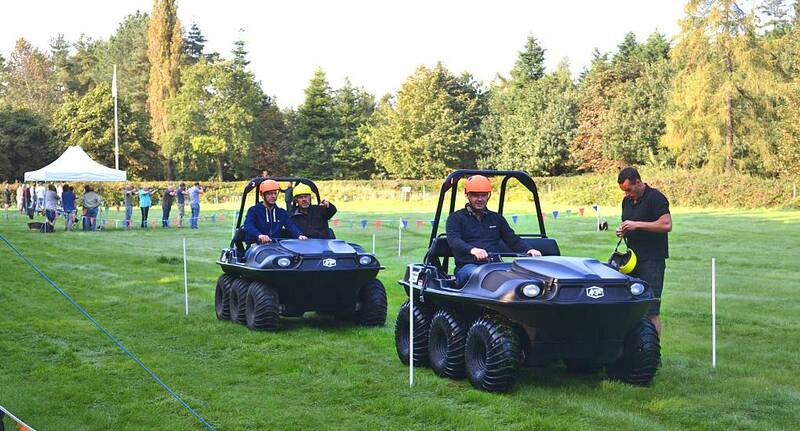 Go off road and more when you book the multi-wheel amphibious Argocats activity with The Stag and Hen Experience. Argocats are six or eight wheel drive buggies that allow the driver to perform 360 degree spins. They don't have a regular steering wheel, instead they are operated by two levers which enable the Argocat to skid around corners. We have specially built courses for our Argocats that include obstacles such as steep hills, slaloms, ditches and water hazards. Choose from two stag packages or create your own itinerary and book your unforgettable stag do with us.